The last time you got into an argument how did you handle the differences. Sometimes before we can think the words fly out and the fingers start pointing. We judge and accuse not realizing that there are simple solutions to these differences. 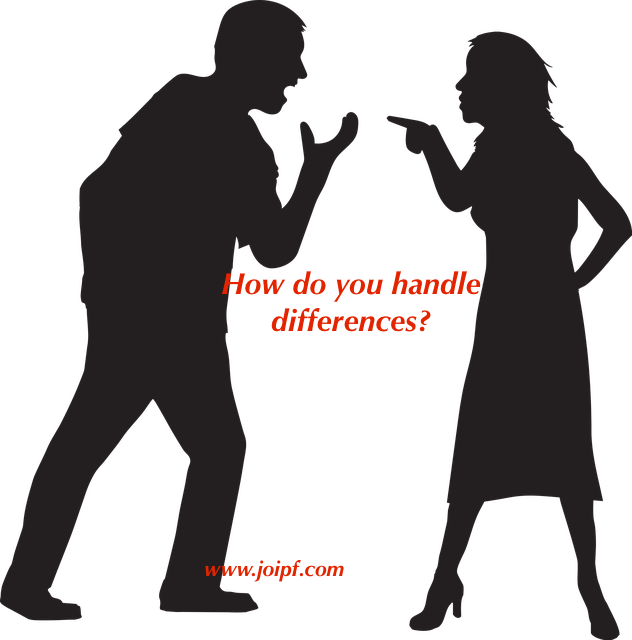 Our differences should not find their way to court or to divorce. So how do we handle them? 1.Pray and examine yourself, your heart. Is this what you want . What lead you to this. 2. Put yourself in the other person’s shoes. How do you feel about the situation? 3. Are there ways you both can get a yes? 4.What is the purpose of your relationship? 5. Can you forgive that person? 6. Can they forgive you? 7. Can you behold that person with the eyes of love and glory in their perfection, just as God our creator beholds you with eyes of love. Previous Previous post: What are you coming home to?